It's the name of my business but why chess image below? because i love to play chess as hobby. 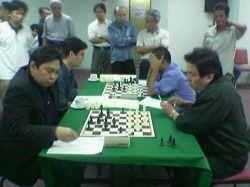 This was Utut Adianto(w) vs Eugene Torre (b) during Zonal Tournament played in Malaysia.I was taking the shot.